PennyPro is a well-known stock trading alerts service. The focus is on trading penny stocks and educating new traders through an active online chatroom. The service claims to be able to give the active trader a complete education in the murky waters of penny stock trading. We love the Raging Bull Penny Pro service and we think that you will too. If you want to turn $5K into $25K, so that you can trade without worrying about the Pattern Day Trader Rule, PennyPro is probably the stock alerts and educational service for you! How you can get MASSIVE PROFITS from a small trading account: FREE WEBINAR from the PennyPro team! Disclosure: Please note that some of the links on this page are affiliate links. This means that we may earn a commission, at no cost to you, if you decide to make a purchase after clicking through the link. Please understand that we have experience with these companies, and we recommend them because they are helpful and useful, not because of the small commissions that we may receive if you decide to buy something through our links. Please do not spend any money on these products unless you feel you need them or that they will help you achieve your goals. This PennyPro review is based on all of my own opinions. The Raging Bull Penny Pro service is part of the RagingBull trading services network. RagingBull is owned by Jason Bond and Jeff Bishop. They host many different styles of trading education system from Options to day trading penny stocks. Here are the people that run the Raging Bull Penny Pro service on a daily basis. Jeff Williams: Jeff is the lead trader at PennyPro. He is a multi-millionaire penny stock trader with years of experience under his belt. He is a long-biased day trader, but he will take the occasional swing trade position as well. He mainly trades stocks under $5 per share. Jeff is a seasoned veteran stock trader who has lost it all, several times before finally becoming a consistently profitable stock trader. He once lost his entire $85,000 trading account! Ouch! Jeff Williams was an elementary school teacher for a decade. He is married with two kids (which you often see in the background when he live streams his educational commentary). His expertise is teaching new traders with small amounts of money and helping them grow their accounts very quickly. Jeff trades with a small account as well (less than $10,000) so that subscribers can ‘mirror’ his success. Davis Martin: Davis is an options and swing trading expert. 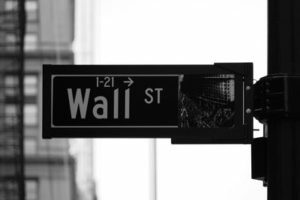 Davis brings a secret weapon to the PennyPro service – options trading! 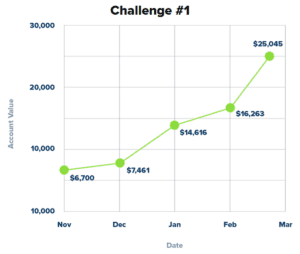 Options are a great way to leverage small amounts of money into massive profits very quickly. Davis is an expert at doing this and his expertise is very valuable to PennyPro subscribers. Taylor Conway: Taylor is an expert in technical analysis. He is a British ex-pat that moved to America to seek his fortune (which he has accomplished!). He loves charts and is an expert at risk management. Taylor is one of the best stock traders that you will ever come across. His mindset is like steel! 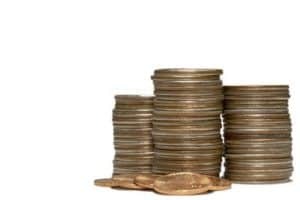 PennyPro: How to become a penny stock millionaire! PennyPro Review: What is the goal of the PennyPro service? The traders at PennyPro aim to help you build your small trading account into a much larger one as quickly as possible. The idea is that many services do not show you how they make money trading with small accounts – they will be trading with massive accounts that are not realistic for new traders. Jeff and his team run the ‘small account challenge’ where they will repeatedly start a trading account with $5,000 and trade it into $25,000+ all while alerting their trades so that subscribers can follow along. This is quite unique in the stock alerts service world! Jeff has a long history of repeatedly making huge percentage gains in short amounts of time! This is how a new trader can grow a small account really quickly. Jeff’s performance is quite remarkable! He has multiplied his small account by 300% in just a few months. He is extremely transparent because he realizes that some of these claims are not within the ‘norm’. Jeff focuses on PERCENTAGE gains, not overall dollar numbers because this is more relevant to new traders. Here is just one example of Jeff Williams successfully growing a small trading account very quickly. Learn how you can get MASSIVE PROFITS from a small trading account with this FREE WEBINAR from the PennyPro team! Jeff’s trading system is aggressive – it has to be! If you want to grow your money quickly, you have to be aggressive and use one of the most powerful concepts in investing – compounding your gains. Compounding is how you can achieve exponential growth! Basically, if you make 10% on a trade you then have a larger account size to trade with – so the next 10% win will be a bigger dollar amount, then the next 10% win will be even bigger! This can lead to rapid, explosive growth of your trading account. This really the key to building a small account into a big one extremely quickly. You can learn more about all the exact details of how Jeff, Davis and Taylor have made millions trading penny stocks in this free masterclass that they offer. PennyPro Review: What do you actually get with PennyPro? 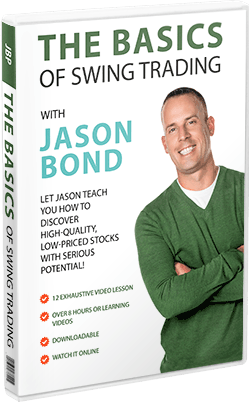 Over a 1000 video lessons that teach you the PennyPro trading strategies. New educational webinars that are updated every 2 weeks. Stock watch list. This is sent out every day so that you can see what potential stocks Jeff has found to trade. PennyPro chatroom. This is a great asset to your trading career. You can learn from thousands of professional traders in the chatroom as well as get real-time trade alerts. Text and email trade alerts. These are sent you in case you cannot be in the chat room all day. Mentoring in the exact trading strategy that Jeff used to make millions of dollars. Liquidity – PennyPro teaches a replicable strategy, there are no huge drops or jumps in price when the mentors buy/sell because they are trading stocks that are liquid enough to not make massive price moves when they trade a few thousand shares. This is a massive pro for subscribers because it means the trade alerts are more readily copied. I love how PennyPro focuses on teaching students how to compound trading profits quickly. It is perfect for people that only have a few thousand dollars to trade with. Finally, I really like how the traders (Jeff, Taylor and Davis) are transparent and easy to talk to. They don’t brag about their wins and wealth. This means a lot to me because it helps to make them more approachable if you have any questions. Penny stock trading can be intimidating as it is very risky. It is a high risk but high reward endeavor. You can participate in the PennyPro program if you have a full-time job, but it will be much easier if you can be at your computer for most of the day. What are the core PennyPro trading strategies? Jeff has a few tricks up his sleeves! One trick he teaches his student is to buy penny stocks, usually holding them overnight. Jeff buys a stock within 10 minutes of the stock market closing, this allows people with small accounts to sell a stock the next day and not become classified as a ‘pattern day trader’. This allows a small trader to trade very frequently without having to worry about regulations. If you don’t know about the pattern day trading rules, be sure to check out this useful resource. Jeff stresses that penny stocks do not usually make for good long-term investments. But they can be very volatile in the short-term, which makes them perfect for making profits very quickly. However, penny stock trading does take skill, discipline and hard work. The PennyPro strategy emphasizes three core concepts: Discipline, Education and Mindset. Without these skills – most traders will fail. 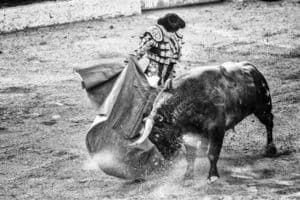 I have been involved with the Raging Bull Penny Pro team for long enough to know that they are legitimate traders that do provide high quality trading education. Will they show you how to become a penny stock millionaire ? That depends a lot on your level of ambition, drive and focus. They can certainly provide you with a superb basic trading strategy and help you to speed up the learning curve. Having mentors like Jeff Williams and Davis Martin is a HUGE help! This PennyPro review has just touched on how to become a penny stock millionaire by learning from a stock trading educational service. Let us know if you have experience with PennyPro in the comments below! PennyPro is one of the best stock trading education services for learning how to build a small trading account into a BIG one!